The sign of an integer is either positive (+) or negative (–), except zero, which has no sign. 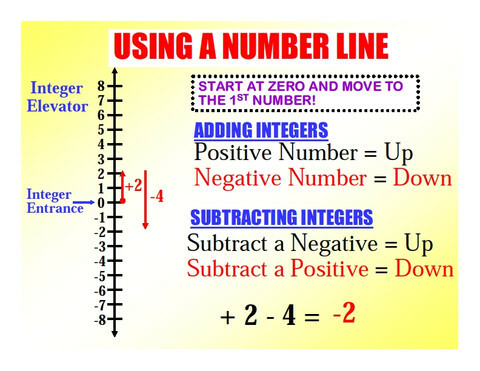 Two integers are opposites if they are each the same distance away from zero, but on opposite sides of the number line. One will have a positive sign, the other a negative sign. In the number line above, +3 and –3 are labeled as opposites. Let’s revisit the problem from the top of this page using integers to solve it. The distance from the top of Mt. McKinley to the bottom of Death Valley is the same as the distance from +20,320 to –282 on the number line. We add the distance from +20,320 to 0, and the distance from 0 to –282, for a total of 20,602 feet. Click on the link for your free trial class today ! !